The present business landscape is characterized by intense competition. The game of survival pivots around the alacrity with which policymakers of a company are willing to learn from concomitant corporate activities. Taxation is a specialized domain that offers abundant avenues of learning for the purpose of mapping risks to your company so as to proactively mitigate them. 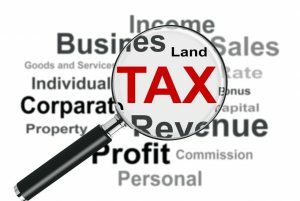 5 lessons from income tax practices of your competitors that would prove invaluable for chalking out tax strategies for your company are being discussed here. You can draw rich insights from them to steer clear of certain problems pertaining to taxation. The profit distributed by your company is taxed separately apart from the regular income tax an investor has to pay. Even interim dividend comes under the tax purview. The tax needs to be deposited within a fortnight of the declaration. The lesson you can learn from your competitors is to get your firm registered in an offshore location. Subsequently, furnish an application to the Ministry of Company Affairs for permission to operate in India. This way you would be exempted from paying high DDT under the income tax section 115-O and 115-P. It is incumbent on the accounts department of your company to diligently prepare the Form 16, both A and B, of every employee and deposit the due tax with the government. Often, the process is delayed due to deliberate negligence of this critical aspect thereby causing the assessing officer to impose hefty fines on your firm. You can learn from the global steel giant Tata Steel. Its dedicated F&A (Finance and Accounts) section works overtime from January end to March every year to prepare the Form 16 of all employees (employee strength is almost 33000). Tax deductible at source is collected and deposited with the government after considering all provisions of adjustment under sections 80C, D etc. Often, your chartered accountant would devise ways to exploit the concessional provisions of IT rules to minimize tax liabilities. Your firm may have booked profits, but the tax for the assessment year may be negligible. Under such circumstances, your firm can come under the ambit of MAT, as per provisions of section 115JB, and end up paying the substantial amount as tax. One of the paramount lessons from income tax filing of your competitor that can come to your rescue is to declare less dividend and distribute the profit share due to investors in various other forms. Often, the assessing officer factors in the dividend yardstick to decide the MAT. You can consider having subsidiary firms registered in different states to benefit from the input tax credit available. This way you can reduce the tax burden on overall income as well as benefit from tax incentives available to smaller firms. Top competing firms in India like Voltas and other engineering companies have numerous subsidiaries registered in states that it operates in. The interconnected firms operating under the same umbrella avail of input tax credits in various capacities and the company remains perennially profitable. Another of the important lessons from income tax filing of your competitor that can benefit you is to have your company registration location changed to an area that enjoys income tax incentives galore. Prominent among such areas is the North-East region of India. If your company’s address is there, you can get prolonged tax breaks for the purpose of boosting your business.